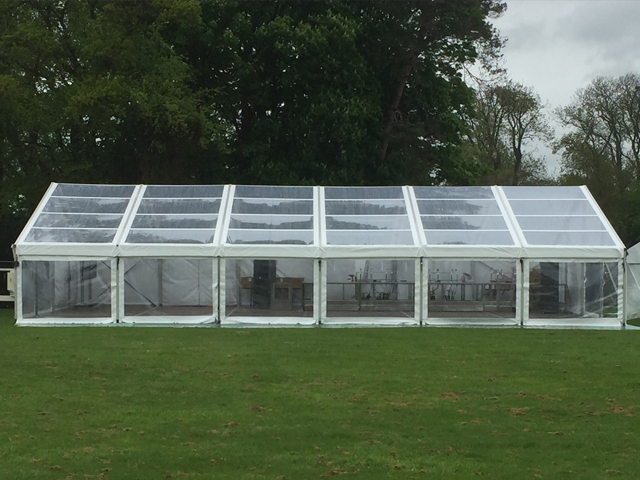 If you have decided to hire a marquee for your next big event, the next thing you’ll have to think about is what kind of furnishings you want to have. And while this might sound like a bit of a no-brainer, it’s not! The furnishings you choose will ultimately add to the overall success of your event so it’s worth taking the time to sit down and give this some serious consideration. The first thing to consider is whether you need tables and chairs. 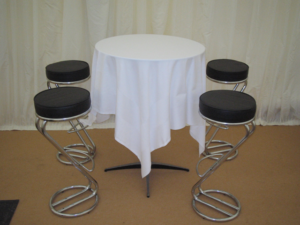 If you are serving food or drink then you will need to have a certain amount of tables to serve the food and drink on. 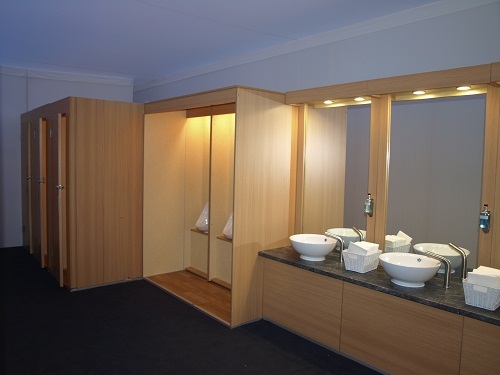 You’ll also have to have sufficient space for your guests to eat and drink in comfort. 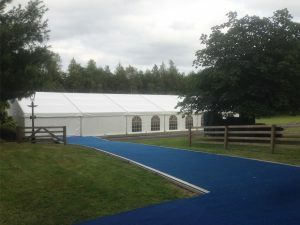 Marquee suppliers can also offer you different types and sizes of dance floors. 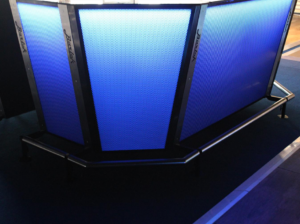 Whether you decide you would like a wooden, light-up or parquet dance floor, your supplier should be able to deliver what you want. A dance floor is an absolute must if you are having any sort of music at your event such as a band, piped music or DJ. 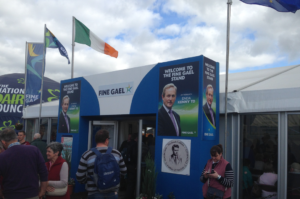 Another important element of marquee furnishing is lighting. The number one rule is the type of lighting you choose should be practical and add to the overall atmosphere that you want to create. For a lively party, disco lights are a great choice. To create a more romantic feel, chandeliers or candles would be a much better choice. Uplighters are also a good option if you want to create a dramatic vibe. They’re available in all different colours or white light so choose wisely. 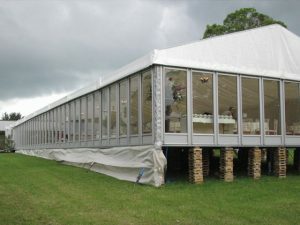 Marquee flooring gives you peace of mind that your guests will have stability as well as comfort. Choosing the right type of flooring is essential, as it needs to blend in with the other furnishings that you’ve chosen. Wooden floors are a very popular option as they can prevent rainwater from getting absorbed. For additional comfort, you can get carpeting laid on top of the wood. It’s a little more expensive but, depending on the type of event you’re organising, your guests will appreciate the added warmth and comfort that it provides. 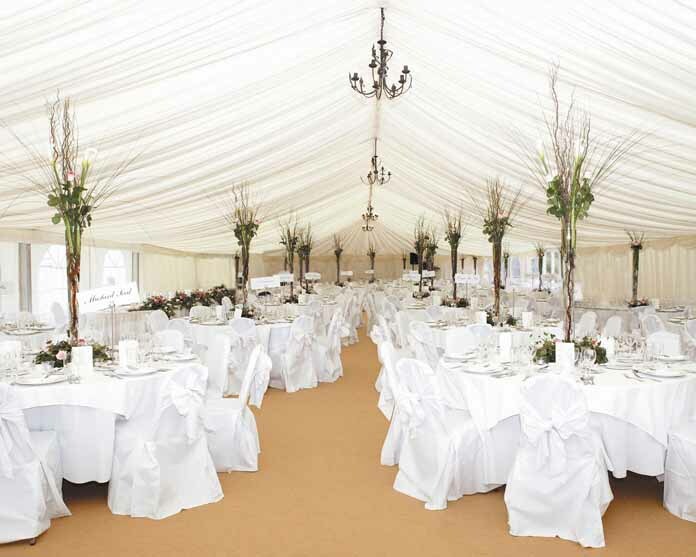 The interior of a marquee can be instantly updated with the addition of soft drapes. With drapes, you can completely transform an average looking space into a fancy banquet room. There’s no limit to your imagination when it comes to the shape, colour and style of drapes so let it run a little wild and transform your marquee into a real showstopper. 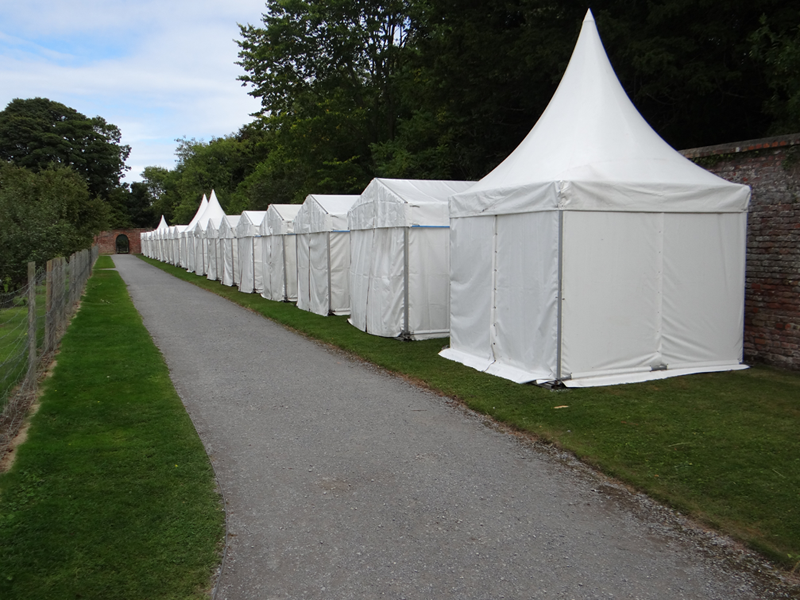 There are so many options to consider when it comes to decorating and kitting out a marquee. You’ve essentially got a blank canvas to work with so take full advantage of that and make sure the finished product is exactly how you’ve envisioned it to be.